Like millions of other viewers, I watched the finale of The Bible series on the History Channel last Sunday night. While it was very difficult to watch the re-enactment of the Crucifixion of Jesus, I came away from the series re-energized about the reminder that we all have, or can have, the same Holy Spirit that the apostles were filled with when spreading the truth about Jesus! This same Holy Spirit that gave the early Christians wisdom and the courage to risk their lives, is with us now in this day and time! In America, we may not have to risk death to practice our faith, but our beliefs and religious freedom are certainly being threatened in many ways. In other parts of the world, Christians are being persecuted because of their belief in Jesus. The Holy Spirit is very much-needed and very much alive! It wasn’t until a couple of years ago, that I really began to appreciate and seek the Holy Spirit more. In my experience growing up Catholic, the Holy Spirit wasn’t discussed much outside of Pentecost Sunday or the Sacrament of Confirmation. 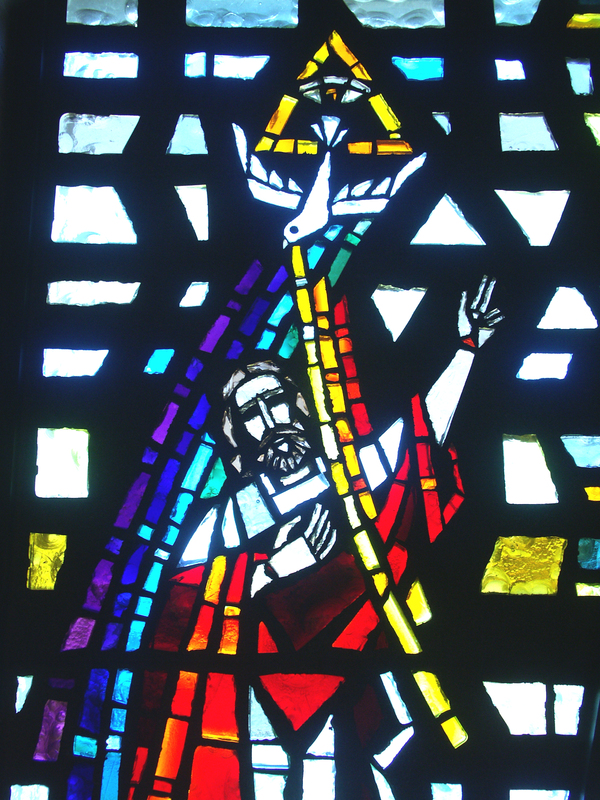 Although I was very familiar with the Holy Spirit, I really didn’t understand the vital role of this third person of the Trinity in my everyday life and the need to continuously ask for His gifts and guidance. And I tell you, ask and you will receive; seek and you will find; knock and the door will be opened to you.d 10For everyone who asks, receives; and the one who seeks, finds; and to the one who knocks, the door will be opened. 11What father among you would hand his son a snake when he asks for a fish? 12Or hand him a scorpion when he asks for an egg? 13If you then, who are wicked, know how to give good gifts to your children, how much more will the Father in heaven give the holy Spirit* to those who ask him. If we do not ask, we will not receive the specific blessings that we need from the Holy Spirit for certain situations and circumstances. This is why it is so important to embrace and believe in the promise of the Holy Spirit. For it is only through the power of the Holy Spirit that we are able to overcome temptation, selflessly love others, and ultimately change the world! Something else that struck me, when watching the final scenes of The Bible, was that the early Christians didn’t have many attachments. They seemed ready to go anywhere at a moment’s notice and were always prepared to see Jesus in Heaven. The more we seek the Holy Spirit, the less we desire what this world offers. My husband and I have been talking lately about living a more simple life. I think the Holy Spirit must be working in us! There are so many wonderful graces to gain from the Holy Spirit! The nine fruits of the Spirit include “love, joy, peace, patience, kindness, generosity, faithfulness, gentleness, and self-control” (Galatians 5:22-23). The seven gifts are understanding, counsel, wisdom, fortitude, knowledge, piety, and fear of the Lord. Truly, everything good comes from God! After I finish typing this post, I will begin writing a letter to the beautiful eighth-grade girl that I am sponsoring for her Confirmation in May. She is going on a retreat next weekend and the Sister that teaches her class has asked all sponsors to write surpise “support letters”. I hope to be able to convey what an important and powerful gift the Holy Spirit is to each one of us (and to her, personally)! The Holy Spirit enables us to be able to grow closer to Jesus and follow God’s will for our lives. Have a blessed weekend! And, remember, all you have to do is ask!